The art of crafting alcohol is a very ancient one, and small, artisan distilleries are growing in popularity every day. Expert Austrian distillers Helge Schmickl and Bettina Malle guide readers through the process of creating or purchasing their own still and provide detailed instructions from personal experience on mash creation, fermentation, distillation, and infusion using a variety of ingredients. 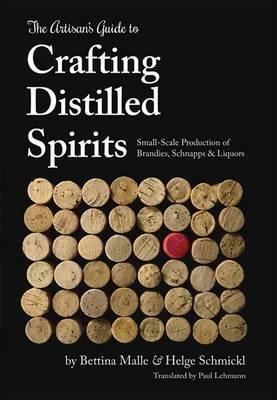 Schmickl and Malle also introduce readers to the tradition of schnapps distillation and present a brief look at domestic and international brewing cultures.The authors cover in detail which distillation techniques excel, which merely succeed, and which should be avoided at all costs in their discussion of: Â Necessary equipment Â Possible ingredients Â Mash fermentation Â How to begin distillation Â Alcohol regulations This book, a modern classic in its original German-language edition, has been called Âthe modern-day bible of craft distillingÂ by one of the foremost thought leaders in small-scale distilled spirit production.With ninety recipesÂfrom classic fruit brandy to chili infusionsÂthis book is not only for the curious beginner. Even experienced distillers will discover new approaches to this classic practice. Illustrations note 113 color and black and white illustrations.